Don’t Forget to Read the Owner’s Manual, Trial Lawyers! We all know that consumer products can be dangerous if used improperly. Everything from vacuum cleaners to jet skis have large, orange warning decals posted on them instructing users, “READ THE OWNER’S MANUAL PRIOR TO USE.” In the owner’s manual, users will find an extensive composition of warnings, diagrams, and instructions for the safe use of the product. Owner’s manuals are often the focal point in product liability cases where it is alleged that a product is dangerous or the manufacturer failed to provide adequate warnings. In such cases, trial lawyers will introduce owner’s manuals to point out the adequacy or inadequacy of warnings and instructions. Surprisingly, owner’s manuals are largely ignored by trial lawyers in personal injury cases involving presumptively safe consumer products. Our firm has handled many cases in which hotels, attractions, and tour operators have severely injured our clients by misusing consumer products. Parasailing ropes break, picture frame supports fail, beach umbrellas fly into guests, bungee cords snap, and the list goes on. In these cases, trial lawyers often rely on expert testimony and common sense to prove negligence without ever looking at the owner’s manual to confirm that the tortfeasor ignored manufacturers’ express warnings. Our firm recently handled a case where we were able to prove negligence simply by using an owner’s manual. Our client participated in the “Flyboard” attraction in the ocean while on vacation in Key West. 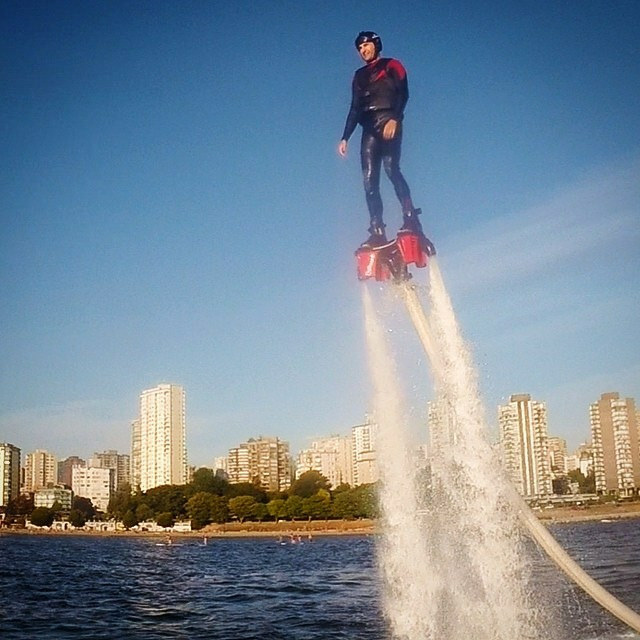 The Flyboard is essentially a water-powered jet pack that is strapped to the participant’s feet. The jet nozzles on the bottom of the Flyboard lift the participant out of the ocean and into the air. The Flyboard throttle is controlled exclusively by the tour operator. During the attraction, the tour operator applied the throttle while our client was completely submerged underwater, which propelled him face-first into the ocean floor and caused severe facial lacerations. We searched for the Flyboard owner’s manual, which stated in bold letters, “WHEN THE FLYBOARD USER IS UNDERWATER IMMEDIATELY RELEASE THE GAS.” Clearly, this incident could not have occurred had the tour operator heeded this crucial warning. After bringing this to the tour operator’s attention, they immediately offered a substantial sum to settle this case. Our client was compensated quickly and without the need for litigation or expert testimony. Trial lawyers must always remember to request and review the owner’s manual for any product that contributed to their clients’ injuries. It just may be the most persuasive and cost-effective way to prove their case.